How do I get these stains out? There’s nothing worse than a stain that won’t go away. There are some materials which just seem to be beyond normal washing detergent. The worst part is that you can end up staining the new and the light-colored clothes you have. You can wear a black shirt for a month and have no problems, but wear a white blouse or shirt and something will fall on it the same day. 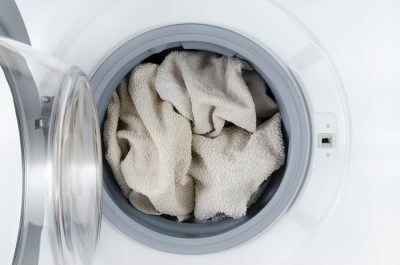 The slightly faded stain which these tough substances leave behind after rigorous washing can be very frustrating. The reason that these stains are so tough to deal with is that they contain chemicals and materials which are not handled by normal washing detergent. This does not mean that there is nothing you can do – there are different ways of tackling different stains, and you have to use the right method for the right stain. The problem isn’t that the stain won’t go away, the problem is that normal washing detergent has nothing in it which can make the stain go away. 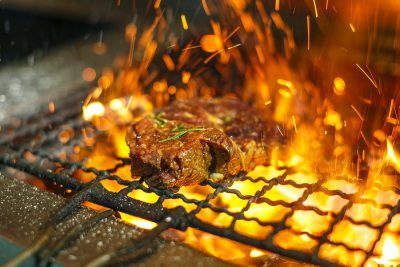 Let’s look at some of the toughest stains to deal with and see how we can remove them completely. 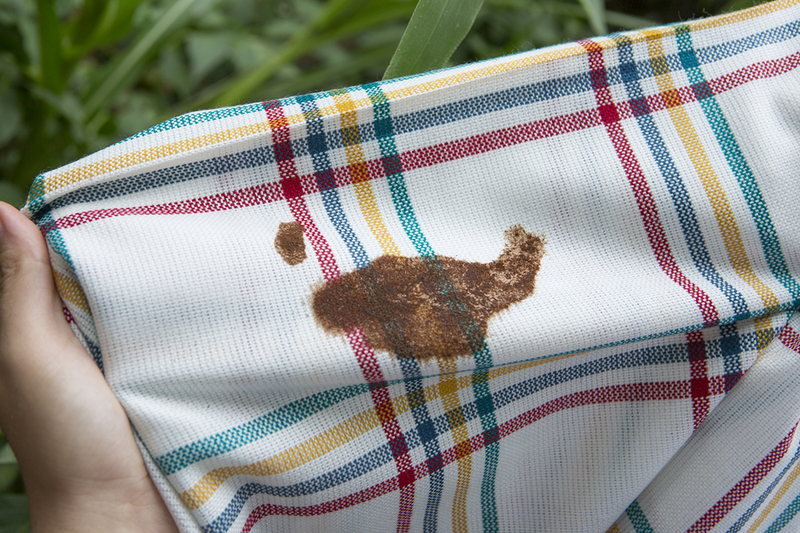 Coffee may just be incredibly popular – until we spill some of it on our shirt and the stain never seems to go away. If you want to make a coffee stain go away, you will have to soak the fabric in laundry detergent and water for twenty minutes. Rinse out as much of the stain as you can. It will leave behind a mark – you can remove that as well by using a bit of rubbing alcohol. Put the rubbing alcohol on another cloth and dab the stain with it a few times. Once the stain is gone, rinse the fabric again and you are good to go. You can also use soda water to quickly deal with a coffee stain if you are out when it happens. There’s nothing more embarrassing than having a blood stain from a pimple or a cut on your dress. Blood is one of the hardest stains to clean with laundry detergent. If you get some blood on your clothes, do not use warm water on it. Instead use cold water to rinse out as much as possible. You can also add some salt to the cold water to make things more effective. If the stain is old then you need to get some diluted ammonia and you will be able to rinse the blood stain away without any problems. Just remember to use cold water. Grass stains are the worst when you have kids. They love nothing more than playing around in the grass, and the grass leaves nasty huge green stains on your dress. The easiest way to deal with the grass stain is to make a mixture of equal parts water and rubbing alcohol. Use another cloth to blot the stains until they are gone. Chocolate is notorious for leaving brown marks that laundry detergent cannot deal with. Here’s something that will surprise you: heavy cream is great for removing chocolate stains. Just put the cream on the stain and leave it for half an hour. Then simply wash the cloth with cold water and the stain will go away. Almost every ‘tough’ stain has a way of being removed – you just have to find the right way to do it. 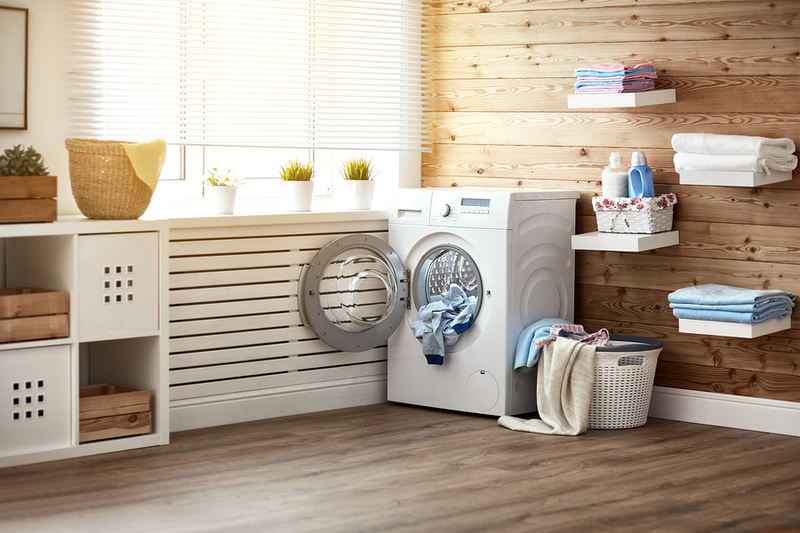 For more tips on getting the most out of your Asko washing machine, or when it comes time to service it, call Wilshire Refrigeration & Appliance. 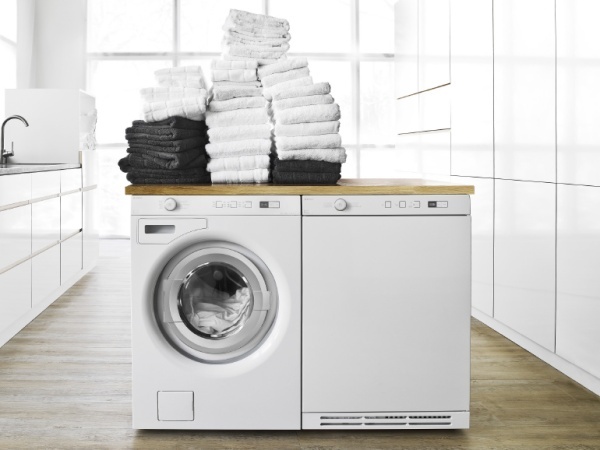 We service Asko, Sub-Zero, and Wolf appliances across Southern California: From Santa Barbara, to Los Angeles, even to Las Vegas!